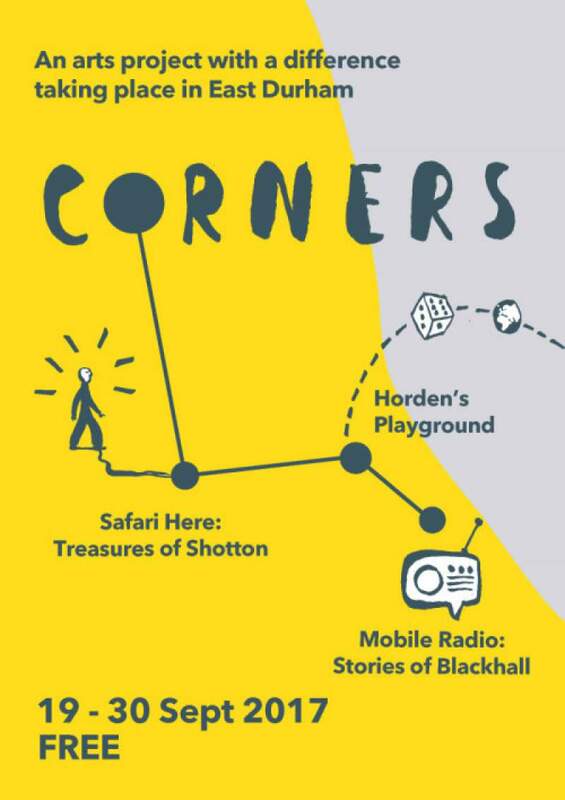 An internationally acclaimed arts project CORNERS of Europe launched in East Durham on Tuesday 19th September with plenty of free activities open to all in the villages of Blackhall, Horden and Shotton running until Saturday 30th September. All brought together by Newcastle-based ISIS Arts and Arts Council-funded East Durham Creates, the project seeks to connect people and places at a time when perhaps it is needed most. The outer edges of Europe are pulled together through shared experiences and stories and nine international artists will work closely with groups locally to develop three artworks for public spaces in East Durham. With a series of workshops and events, East Durham Creates aims to increase opportunities for residents of East Durham to get creative and involved in arts and culture. It was first established in 2014 and has already engaged more than 22,000 people in a range of events and activities. Full details are available at East Durham Creates and ISIS Arts.